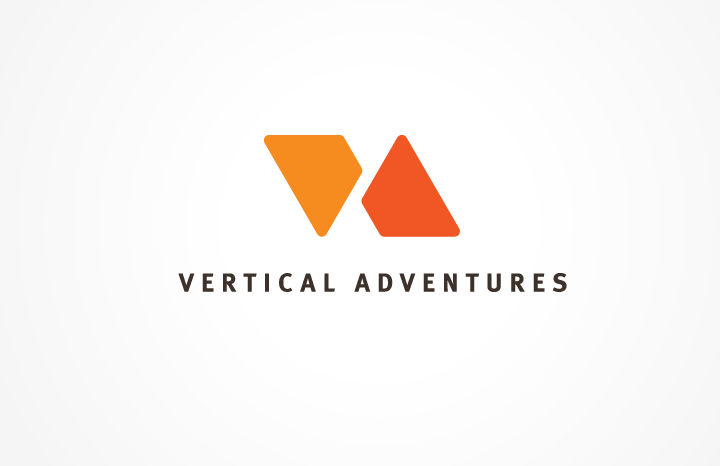 A brand new logo for Vertical Adventures climbing gym. At first glance, the logo is an abstract “VA”. When you stare at it for a bit longer, you can imagine a white stripe running between the shapes, which then look like inner surfaces of 3D letters.